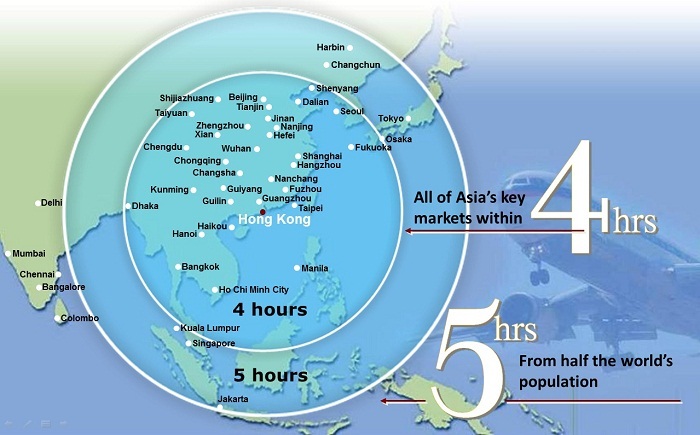 Hong Kong is strategically located at the heart of Asia, alongside many of the region’s most exciting business markets. The airport, Hong Kong International Airport, is one of the world’s busiest international airports and a hub for many international airlines. It is one of only three airports in the world with a 5-Star Skytrax rating and has been ranked the world’s best international airport for eight of the past 11 years. Flights are available to more than 160 cities, including 45 locations in Mainland China, with popular destinations often served by multiple daily flights.